20% Student Discount at EE Mobile Students can get a great deal with 20% off at EE Mobile! 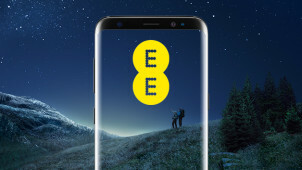 Save Up to £250 on the Galaxy Samsung S10 When You Trade In at EE Mobile When you trade in your Galaxy S7, S8 or Note 8, you could save up to £250 on a brand new Samsung Galaxy S10 at EE Mobile! SIM Only Deal - 60GB of Data for £30 Per Month at EE Mobile Get a great 60GB for just £30 per month at EE Mobile! Good As New Phones from £21 per Month at EE Mobile Shop the selection of phones, as good as new, from £21 per month at EE Mobile! SIM Only Deal - 40GB of Data for £25 Per Month at EE Mobile Get an amazing 40GB of data for just £25 a month at EE Mobile! EE are the pioneers in all things digital and you can rely on these guys to keep you up to date with mobile phone technology. With a grand customer base of happy and loyal people - there is no better time than the present to jump on the bandwagon and join the fastest 4G network out there. For your mobile and all the communication and discovery that comes with it - you’re really in for a treat with EE. Here you’re going to get the biggest 4G coverage, plus reliable, superfast broadband. With benefits on different plans like BT Sport, free data boosts and easy streaming on 2 devices - this is a world of creativity and fun where you can do more for less than you might think. Stick with vouchercloud and join the EE community to reap all of the rewards that come with being an EE customer. How do I use my EE mobile voucher codes? Click ‘go to secure checkout’ to complete your order. Join the EE mailing list to stay up to date with the latest devices and to get the lowdown on great offers and more, straight to your inbox. Where is my nearest EE store? You can use the online Store Finder to locate your closest EE shop so you can speak to the experts themselves. How can I check whether the EE network is available in my area? Simply use the Mobile Coverage Checker to see whether 2G, 3G and superfast 4G will be available to you. If you are already an EE customer, you can simply log in to your account and check your upgrade status. The latest iPhone might not be as out of reach as your thought! Early upgrades are possible too but you may have to pay off your existing contract. Will I be able to use my phone abroad? You can set up roaming so that you'll be able to use your device to call, text and browse the internet whilst you're out of the UK. Do ensure that your device is set up and that you've added roaming to your plan so as you don't get any heavy charges. Call EE on 150 for a helping hand. Does EE offer a student discount? Yes, EE have a great student discount offering. Students can save 20% off any new phone or SIM plan every month. To claim your discount, you must register and verify your student status with UNiDays. From there you can choose your new phone or SIM plan and apply a special EE student discount code. Deliveries from the EE store are free as standard - items will be dispatched as soon as they're in stock, so delivery times will vary. You'll be sent a text when your item is due to arrive, however. You have 14 days to return items after they've arrived. The EE contact page also offers up a live chat service on pop-up. EE has established itself at the top of its game as the UK’s best, most advanced communications provider, and a great place to switch your provider. With unparalleled internet services and mobile phone tariffs, EE is the country’s most popular mobile network operator. Have a look at our great range of EE voucher codes and you can save a pretty penny on the cost of your plan. For incredibly fast fibre-optic broadband and 4G, you can’t do better than EE. When you switch to an EE SIM plan you can keep your own existing number. Gone are the days of texting your entire phonebook your new contact details as you’ll still be reachable on your favourite number! The process is easy, simply request this when you’re selecting your bundle and let EE do the rest. For us at vouchercloud, it’s all about the Sim only plan. When you’re attached to your device, be it an old school iPhone or jazzy new Samsung - it’s a no-brainer to hang on to your trusty old friend and to get the best out of it with a superfast network like EE. With EE discount codes you can save on Pay Monthly and Pay As You Go options - whichever will suit you, your lifestyle and of course, your budget the most. Keep hold of your phone this year and just get a better deal with EE!